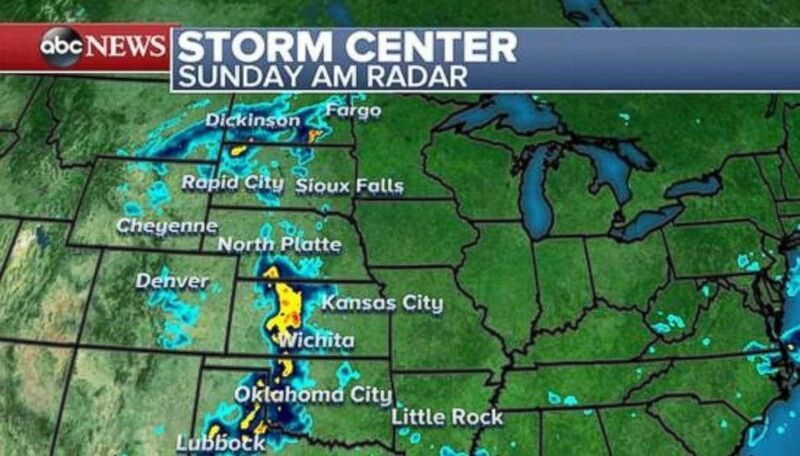 Storms are firing up in the Plains on Sunday morning and moving toward the Midwest and South. 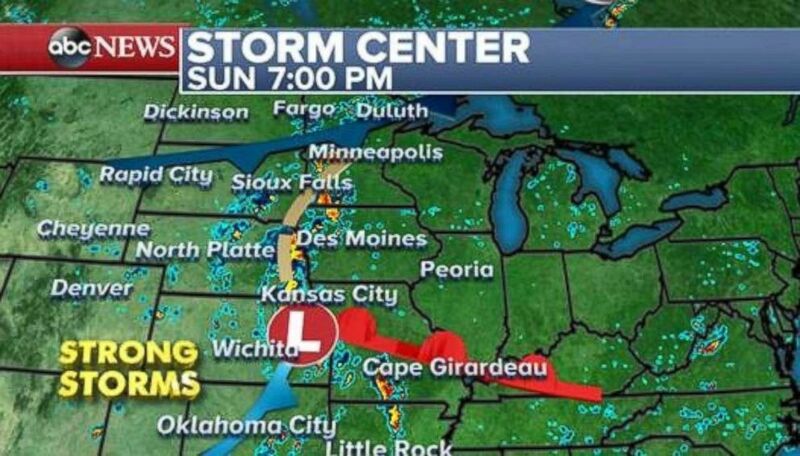 Strong storms are forecast for parts of Oklahoma, Missouri, and Arkansas on Sunday night. 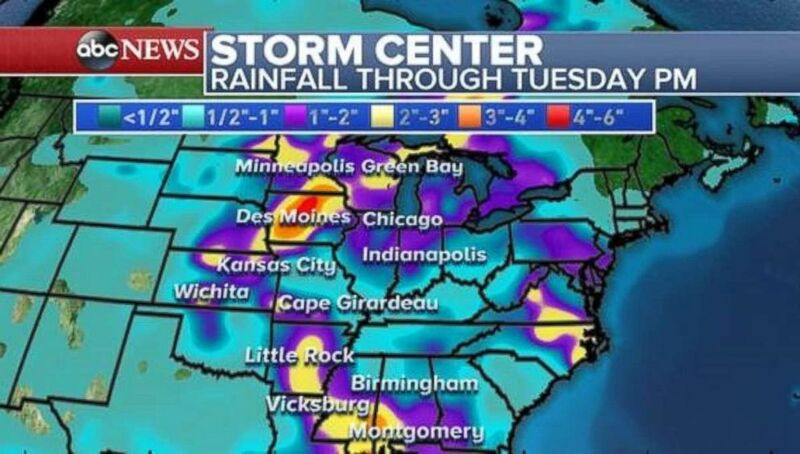 There could be 4 to 6 inches of rainfall locally through Tuesday in parts of the heartland — especially Iowa. This could cause flash flooding in the region. The heaviest rainfall totals through Tuesday will come in Iowa, Arkansas and southern Mississippi. 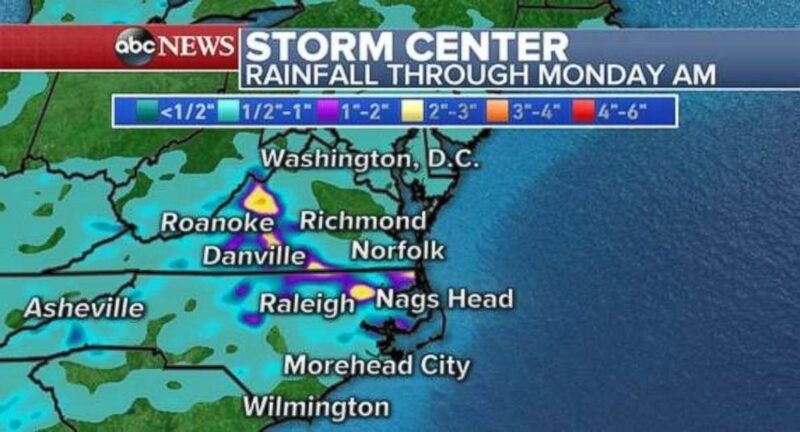 Rainfall will also be heavy in parts of North Carolina and Virginia through Monday morning. 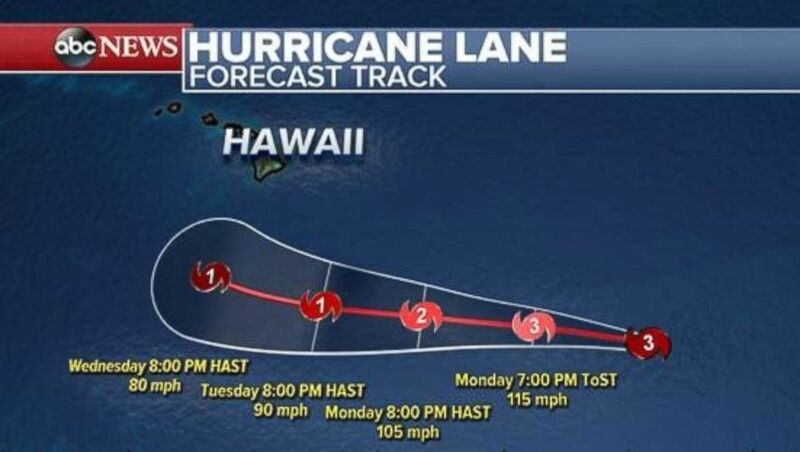 Some uncertainty exists as to Lane’s track once we get to the middle of this week.